I went to Maine for the first time last year. It was beautiful and rugged and remote feeling. And it could definitely be the perfect place to escape to when you need to reexamine your life and change direction or if you are hiding from a hurt. 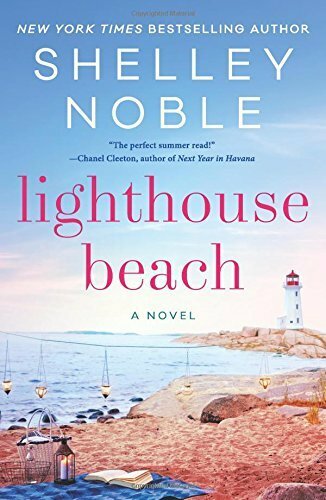 Perhaps that's exactly why Shelley Noble chose to set her latest novel, Lighthouse Beach, in a small ocean side town in Maine. Her characters certainly have a lot to figure out in this summer beach read. Lillo Gray inexplicably agrees to attend an old friend's high society wedding in Kennebunkport. She hasn't seen or spoken to Jess in many years and she doesn't quite know why she's been invited. But when Jess needs to run away from her awful, cheating fiance and her nasty, controlling parents, it's a good thing Lillo is there. She, Jess, and Jess' college friends, Diana and Allie, flee the debacle in the battered van Lillo drove there and head back to Lillo's small cottage at Lighthouse Beach. None of them bargained on spending a week together, hiding out from Jess' unpleasant parents and starting the slow process of facing the issues that each carries with her as baggage. Initially the women think that they are there to help Jess but in fact, they are all on a journey to self-discovery and to breaking free of the things that hold each of them back. As they examine the painful parts of their lives, they slowly start weaving into the life of this struggling small town and of the people who live or serve there, becoming a part of the community. The characters do not all get equal time with Lillo and Jess being the main focus of the story. 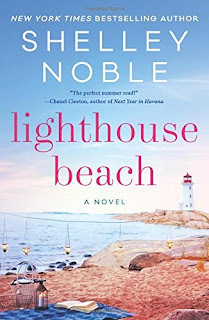 In particular, Allie's problems seem to be less detailed and the healing she does in Lighthouse Beach is far less touched on than the other women's, being more of an aside than anything else. Jess' long time inability to stand up to her parents is remarked on repeatedly so that her backbone, when she discovers it, feels a little bit unearned. After all, she was willing to let her parents steamroll her into a marriage she didn't want and to direct her entire life just one week prior and had dithered about allowing herself to be sucked back into their orbit even less time ago than that. Lillo's story remains a mystery for quite a long time although there are multiple cryptic hints along the way as to why she abandoned her promising medical career, the thing she once wanted most in the world. She spends much of the story self-flagellating over this mysterious incident. 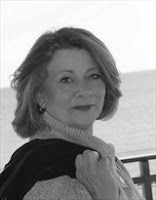 Mainers do have a reputation for being taciturn or closed-mouthed but knowing her story earlier might have made her a more sympathetic character, especially initially, to the reader. And there were places where it seemed some backstory or plot thread was missing from the novel. For instance: why on earth would Diana lie to Jess about where her former fiance might have gotten Diana's cell number? Was this originally meant to be a piece of the story that got cut? It never turned into a plot thread, despite priming the reader for something significant. Most of the novel was unsurprising but sometimes it's okay (and even desirable) to submerse yourself in the predictable and familiar. Despite my criticisms, I did enjoy the book as an easy read about female friendships and the support the characters (female and male alike) gave each other as they faced fears and found the courage to stand up for their needs and wants. The ending of the novel was fairly open-ended, just as in life, leaving the possibility of someday revisiting these characters again. Readers looking for an easy and satisfying read to tuck into their beach bag would do well to consider this one. For more information about Shelley Noble and the book, check out her webpage, like her on Facebook, and follow her on Twitter. Check out the book's Goodreads page, follow the rest of the blog tour, or look at the amazon reviews for others' thoughts and opinions on the book.